Honda Division's light truck sales advanced 18 percent to 56,830 last month. American Honda Motor Co.’s sales rebound added momentum in June, with the company reporting a 4.2 percent jump in U.S. sales over June 2014, with 134,397 vehicles sold. The gain followed a more modest increase of 1.3 percent in May after two prior months of declines. Light trucks carried their weight for both the Honda and Acura divisions, though Acura’s fortunes were also buoyed by strong car sales; it was one of the few brands in the industry to see strong gains in cars. Honda Division’s sales rose a modest 0.9 percent to 118,870 vehicles in June. But its light trucks advanced 18 percent to 56,830 while cars fell 11 percent. 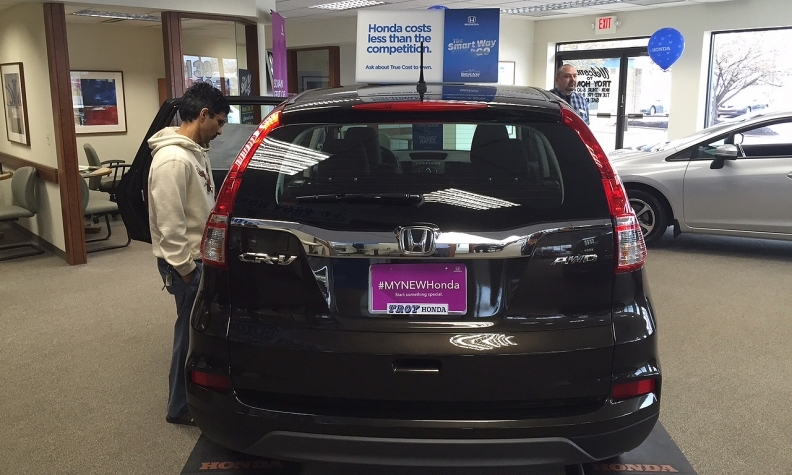 “With the introduction of the 2016 Pilot late last month, our SUV lineup is the strongest it has ever been, and it was already in very good shape,” said Jeff Conrad, Honda Division general manager. Sales of the CR-V crossover increased 8.5 percent to 28,349 in June, while the smaller HR-V crossover pulled in 7,760 sales in its first full month on the market. Things were less rosy on the car side of Honda Division’s product lineup. Sales of the Accord fell 15 percent, and deliveries of the Civic dropped 11 percent. 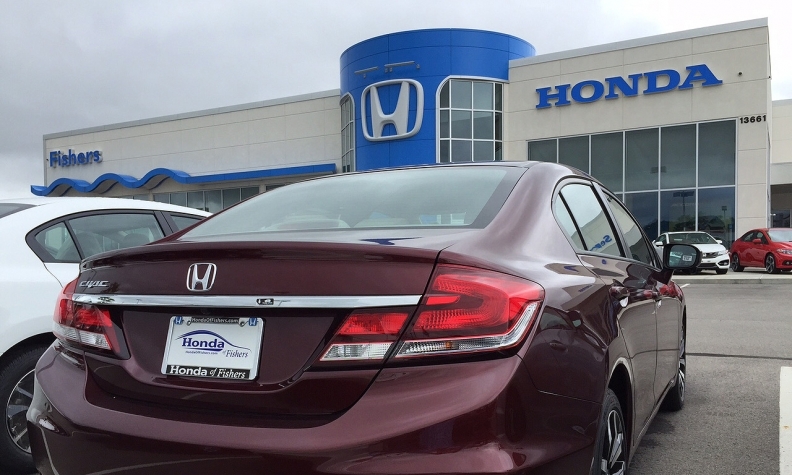 Some of the Accord’s woes can be blamed on excess supply and subsequent selldown a year ago. Only sales of the Fit remained bright, with the subcompact hatchback up 26 percent over June 2014, when production delays crimped supplies. The Fit is now built in Celaya, Mexico. Though its car sales are in the doldrums, mirroring the industry, Honda plans to update its car lineup later this year. A refreshed Accord will debut in July and could go on sale by year end. An all-new Civic sedan hits U.S. showrooms this fall, with the Civic coupe hitting dealerships this winter. “The next several months will be exciting as we begin to renew and expand our car lineup,” Conrad said. Acura division had a banner month in June, will sales of 15,527 vehicles, a 39 percent increase over June 2014. The luxury brand more than doubled sedan deliveries from June 2014, with 5,878 car sales in June, a 108 percent increase compared with June 2014. The results reflect the launch of the all-new TLX midsize sedan and a heavily refreshed ILX compact sedan (the latter jumping 79 percent from June 2014). Acura’s light-truck sales climbed 15 percent to 9,649 vehicles. A strong showing by the updated RDX compact crossover (up 45 percent) offset a decline in sales of the MDX midsize crossover (down 6.1 percent).